1. 100% UVA, UVB, UVC UV protection. 2. 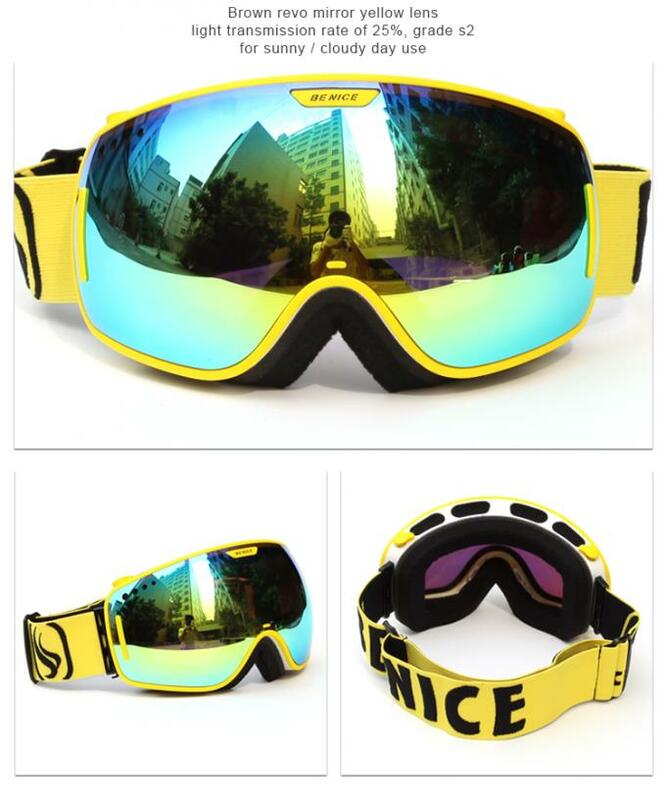 PC anti-fog double lens, impact resistance. 3. High quality TPU frame. 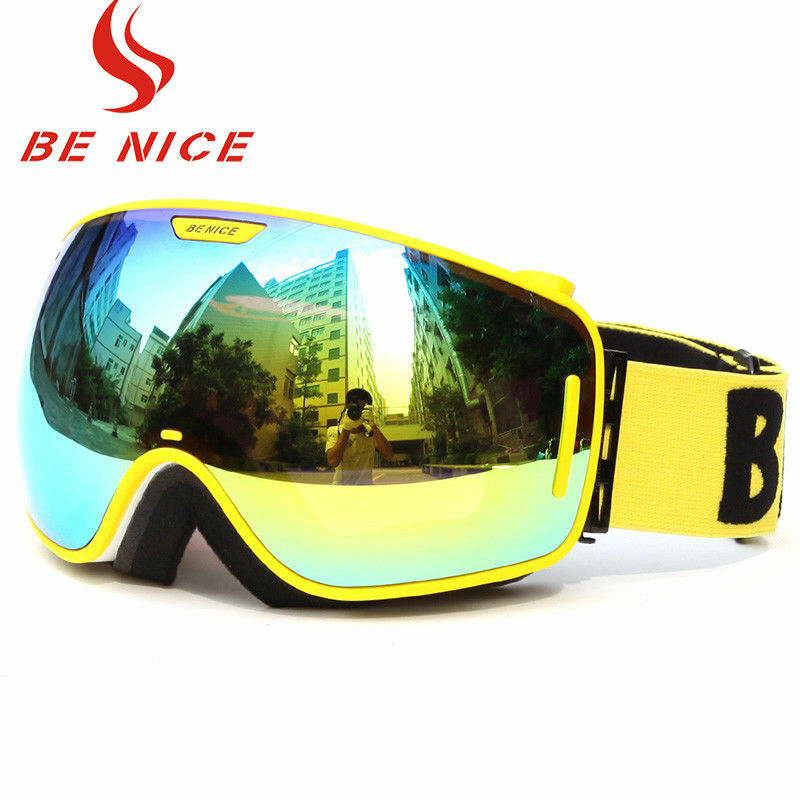 and providing maximum comfortable feeling for skiing. 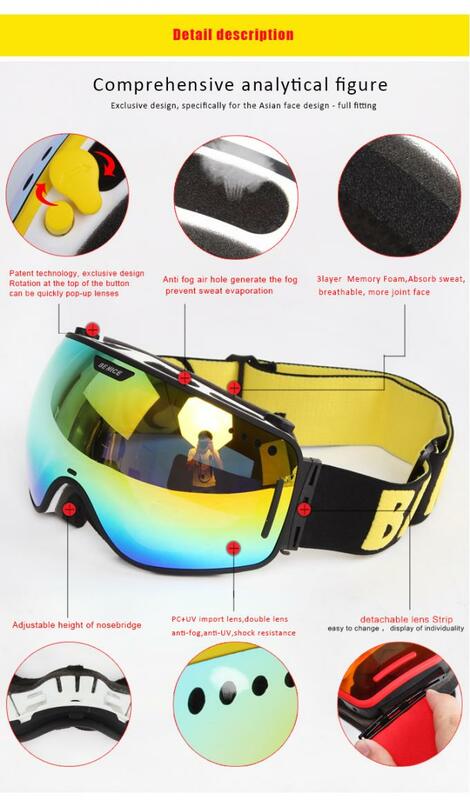 5. lengthened flexible elastic strap, helmet compatible. 6. Good impact and abrasion resistance, meet Euro and American standard.